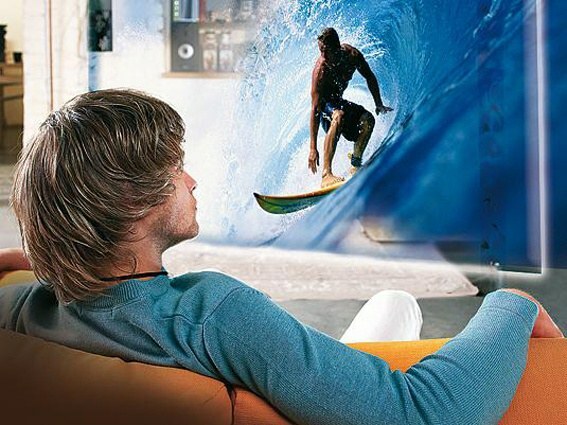 Digital TV is active in our lives, displacing analog. High quality pictures, sure signal, which in recent years, so did not reach ordinary people. Besides, now you yourself to generate the desired list of channels you want to watch. The technology of digital television support HDTV, i.e. the high-definition television. Now everyone has the opportunity to take advantage of these benefits of modern achievements. Equipment to connect the DH TV antenna UHF-band. First, all people who wish to connect digital television, the question arises: do we need a special TV? Where can I get it? And how much is it worth? The answer will delight all. No special TV is not necessary. Your regular modern "box" that has a standard antenna input , scart-input, low-input (tyulpanyi), S-Video-input, etc. With them to a TV-connected console-decoder. The process of installation prefixes is as simple as connecting the antenna to the TV and you can handle this on my own, not overpaying money for the installation. Simply insert the cable at one end to a special input on the console-the decoder and the other into the TV into the corresponding input. Secondly, people ask what extra equipment you will need to connect digital TV? It depends on your TV and provider, from which you will activate the service. Usually, you must purchase a receiver of one of the types. It will depend on what type of COG you will connect, and that will serve as a signal source. The receiver can connect to cable, satellite antenna, computer networks (WiFi, Ethernet). The same source may be terrestrial digital TV. Based on the foregoing, we can conclude that you might need in addition to the receiver and even satellite dish, analog cable TV, an Internet connection via one of these networks. Still needs to be antenna UHF-band. That's all the equipment. As for payment, you will have to pay for the purchase of necessary equipment a single. This will be the biggest expense. You can also use the service of installation, connection and configuration of equipment. Or you can do it yourself for free. In addition, every month you will have to pay for the chosen package of channels that most cost is not expensive. Before you connect you need to choose a service provider. Read all of the operators DH in your city. Ask for a consultation. Ask the opinion of your friends who are already using this service. See for yourself they have a TV to get a more accurate picture. In addition, some providers may give you a presentation and to talk about the merits of their equipment and demonstrate them. This, of course, must be arranged in advance. Now, knowing what you need, you can safely go to the store or on various online sites and choose the digital channels that you need.